It’s that time of the year, ladies and gentlemen. The warm summer air starts to cool and bring the fall leaves along with it, which means the final Canepa Cars and Coffee is upon us! PLEASE DO NOT PARK IN OR BLOCK DRIVEWAYS OR SURROUNDING STREETS OF OUR NEIGHBORS AND NEIGHBORHOOD BUSINESSES! 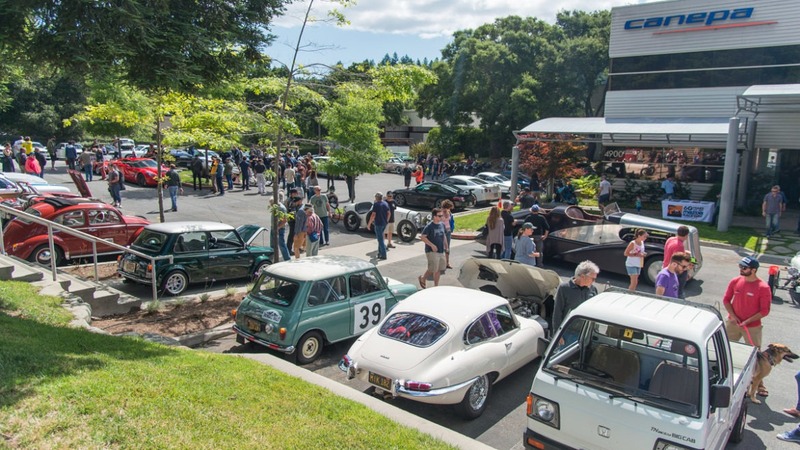 Next Saturday October 13th, 2018 will be the last Canepa Cars and Coffee. Our parking lot will open to the public at 7am, with the Canepa facility opening its doors at 8am. All vintage, performance and classic cars are welcomed, with plenty of complimentary parking in some of the surrounding parking lots. First come, first served! An early Fiat beats a late Ferrari. Complimentary coffee and donuts will be served, but make sure to get there in time! The turnout at this event will be the largest yet. As a reminder, we recommend that you park in the surrounding lots until 7am when we open the front gate for loading! If you arrive before 7am, we will turn you towards one of the parking lots. At 9am, John Ficarra, Canepa’s previous Marketing Director and Historian, will be providing the special edition of his amazing tours filled with stories and facts about the fabled cars at Canepa. Don’t miss out on this, as this will be the last tour that John Ficarra will be giving at Canepa! 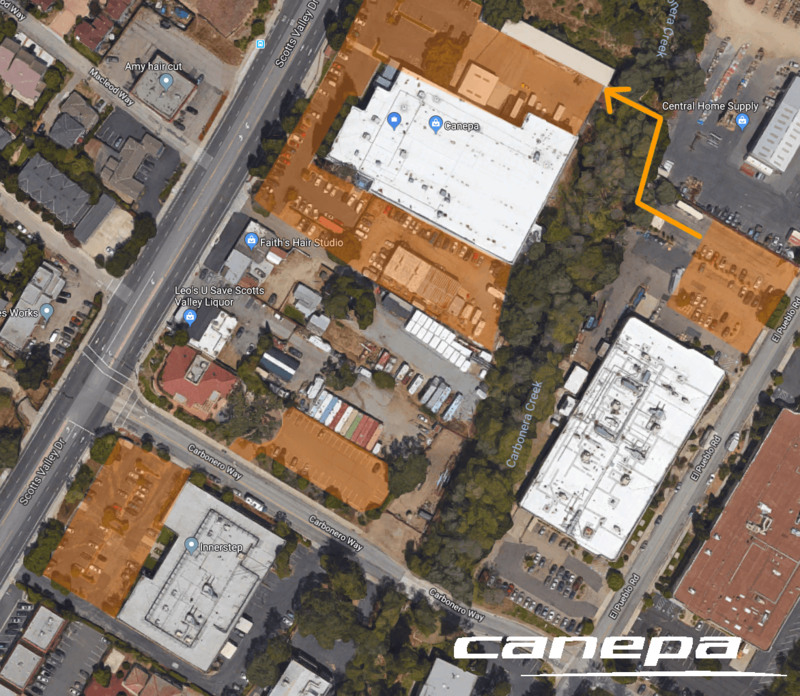 Please park in highlighted parking lots until 7am, in which you then can start moving into the Canepa main lot. We’ll see you next weekend!